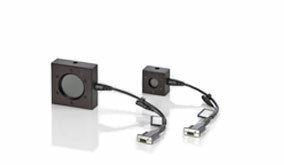 Laser power measurement with state-of-the-art microelectronics miniaturization techniques, integrated in an entire instrument within a USB 2.0 or RS-232 cable connector. PowerMax-RS provides RS-232 connectivity. Power input provided via +5 VDC input from external power supply or through Pin 1 on RS-232 connector. 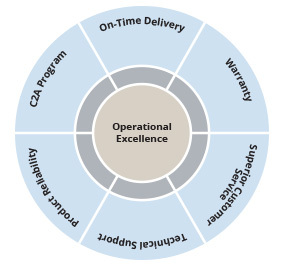 Instrumentation platform is compatible with thermopiles and optical sensors and can be adapted to most power sensors that Coherent manufactures. Displays beam position with position-sensing quadrant thermopiles (with LM-model sensors like LM-10). High resolution 24-bit A/D converter supports four digits of resolution and measurement accuracy equivalent to that found in Coherent’s LabMax meters. Spectral compensation is unique to each device for improved accuracy. Long-pulse joules capability with thermopile sensors. Laser Measurement device providing direct USB 2.0 connection to a PC. RS-232 Laser Power Measurement uilizing the same circuitry in our PowerMax-USB sensors. 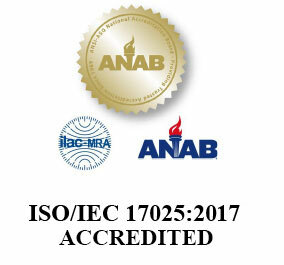 ISO 17025 Accreditation by the ANSI-ASQ National Accreditation Board (ANAB). Accreditation recognized internationally by ILAC, APLAC, and IAAC. 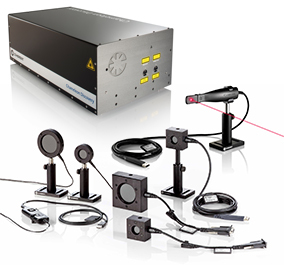 Members of the Coherent Family get discounts on Coherent Laser Measurement products! 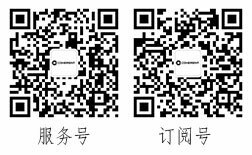 For product reliability, speed of responsiveness and technical support, make the safe choice. Coherent. Any order that contains only C24 items will ship directly from the manufacturing site in Wilsonville, Oregon on the next business day. The new PowerMax-USB/RS sensors are the world’s first laser power sensors that utilize state-of-the-art microelectronics miniaturization techniques, and integrate an entire instrument within a USB 2.0 or RS-232 cable connector. 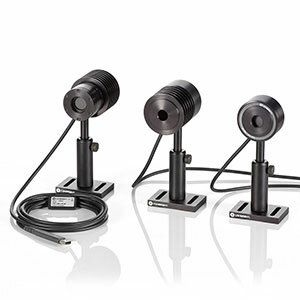 Specifically, PowerMax-USB/RS sensors contain all the signal processing and power measurement electronics normally found in a LabMax meter, and provide the capability to connect directly to a PC with plug-and-play functionality. Ideally suited for low and high volume embedded sensor applications, Coherent’s new family of sensors eliminates the need for a separate meter box, thus delivering a significant savings in cost and space but with no reduction whatsoever in performance. Ideally suited for low and high volume embedded sensor applications, Coherent’s new family of sensors eliminates the need for a separate meter box, thus delivering a significant savings in cost and space but with no reduction whatsoever in performance. Coherent’s PowerMax PC applications software provides a virtual instrument interface for these sensors that enables the operator to take laser power readings, log data and compute measurement statistics. Users can also write their own software using host interface commands that control all aspects of power meter operation. Compatible with Microsoft Windows 7, 8, and 10, 32-bit and 64-bit operating systems. Firmware Installation instructions are available inside the Readme file in the downloadable zip file below. Factory Default functionality remains unchanged. This is an optional new feature.